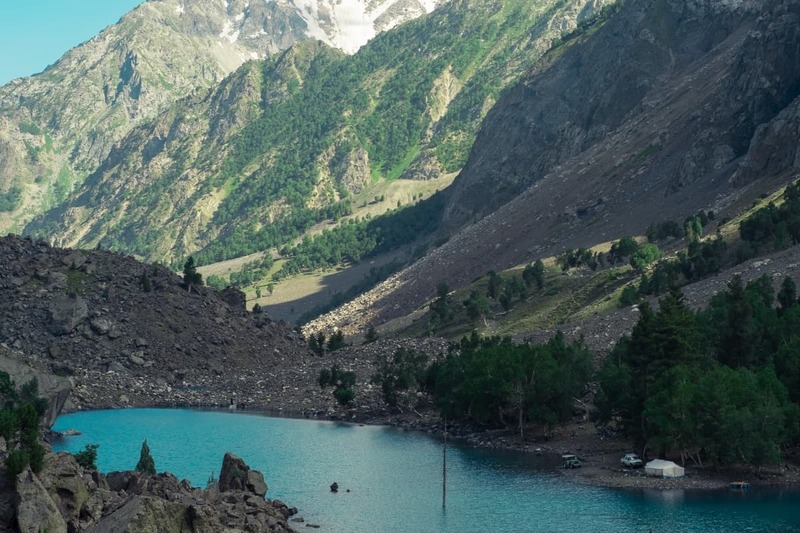 An isolated haven of sheer beauty, Naltar lies tucked away from the hustle bustle of Gilgit-Baltistan's town and cities. Nestled among snow-topped peaks and towering forests, the valley is home to what are referred to as the tastiest potatoes in the world. 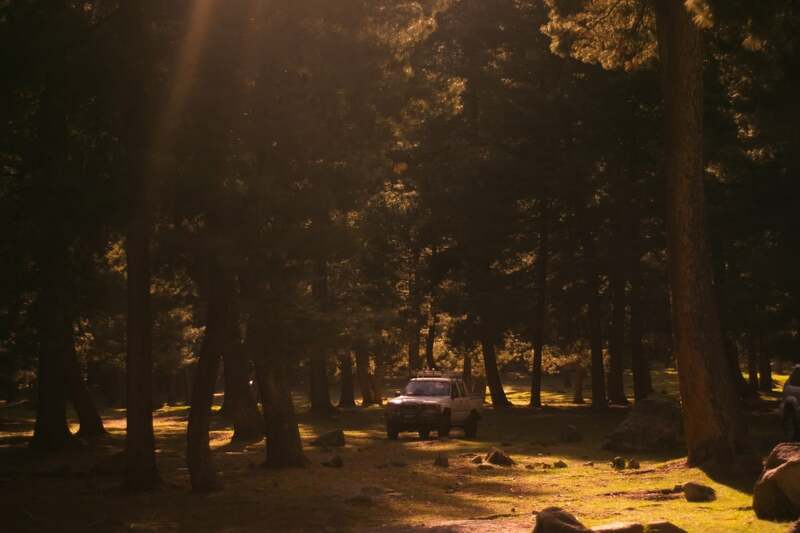 Every tourist's journey to Naltar begins by leaving behind the Karakoram Highway at Gilgit for an adventurous two-hour jeep ride. The fact that cars can't be driven from Gilgit to Naltar is testament to the bumpy and somewhat arduous track. However, for those with the slightest clue of what beauty lies in the valley, the journey is simply part of the experience and is most certainly worth taking. Reaching Naltar Bala, the center of the valley, one is absolutely spell-bound by the beauty of the area. 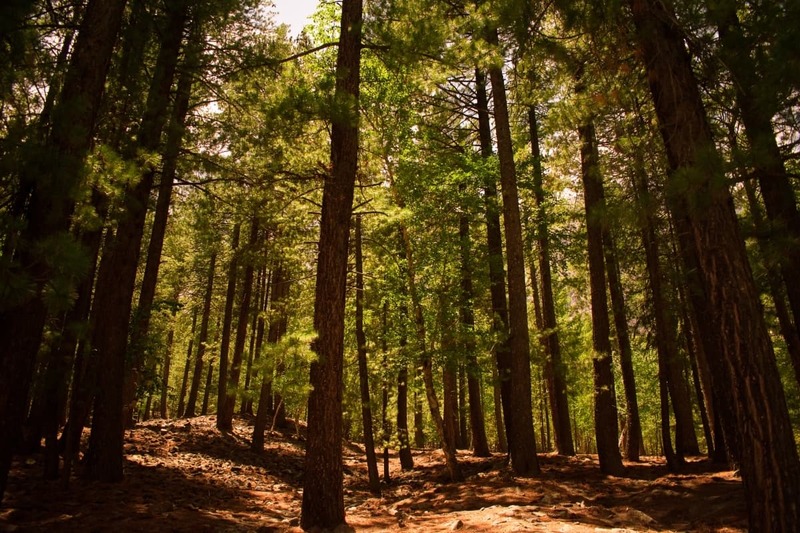 What makes Naltar particularly unique is also that its forest cover is vaster than other areas of the country. The entire landscape is truly delightful to the eyes. In the evening as the sunlight gradually disappears, the few residents of the valley return to their homes after working the fields during the day. 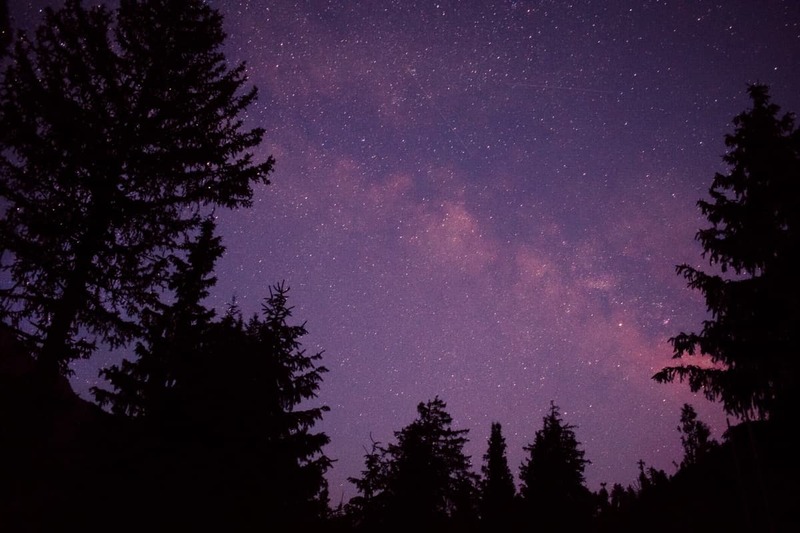 Stars begin to emerge, which combined with the silence of the night, make for an exquisitely serene atmosphere. Further into the night, aided by the lack of light pollution, the Milky Way emerges from behind the mountains. The view leaves you absolutely speechless. The Milky Way stretched over Naltar Valley — can you spot the shooting stars? During the winters, Naltar offers a wonderful experience of skiing on its famous slopes that attract tourists by the droves. 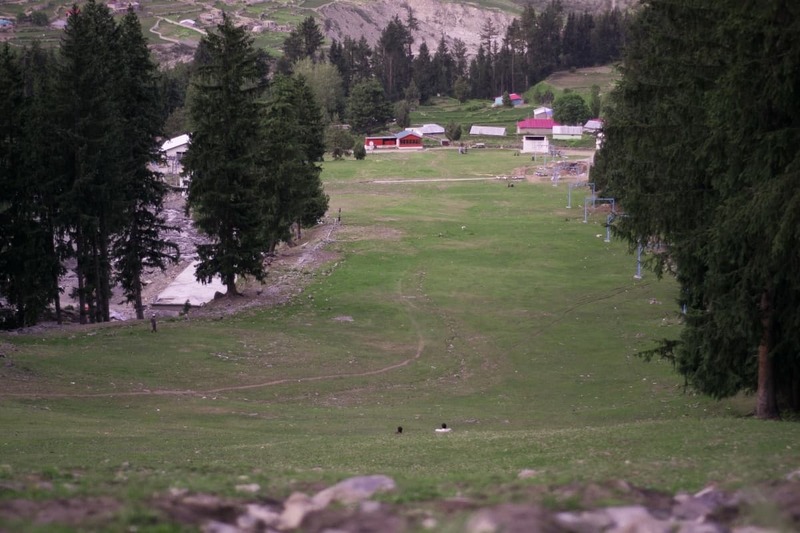 The ski resort is run by the Pakistan Air Force, along with the recently installed ski lifts that take skiers to the top of the slope. 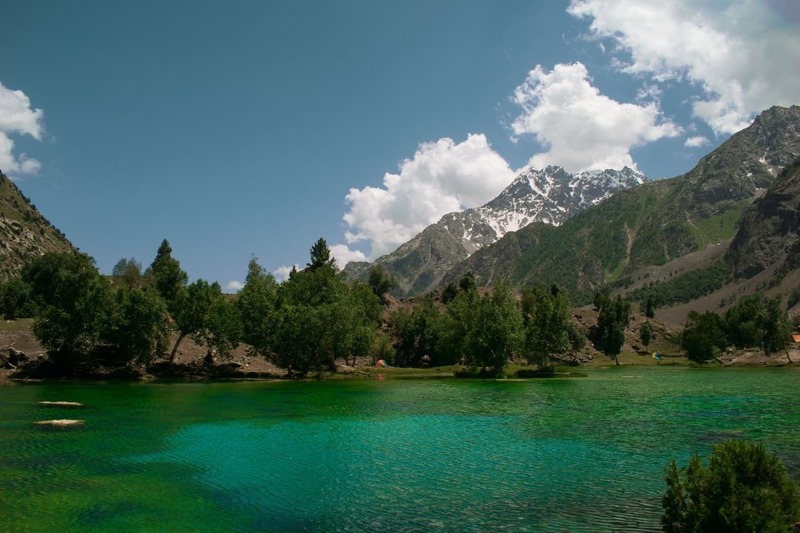 Naltar is home to three magnificent lakes known collectively as the Bashkiri Lakes. 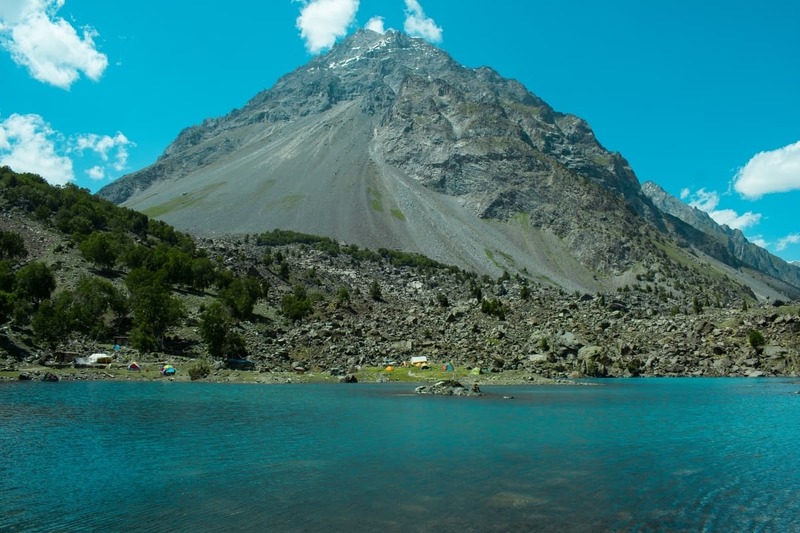 Located at a distance of 13km from Naltar Bala, it takes about an hour of travelling on unmetalled roads to reach them. All along the route, which is a dirt track, glacial streams can be seen flowing across the verdant valley floor. Due to the ample vegetation, these are ideal grazing grounds, attracting Gujjar nomads who travel here with their cattle. At two points in particular, the river and a large glacial stream cut across the track and as a result, the local jeep drivers are required to utilise their experience and skills in order to navigate them. During the winters however, these lakes remain inaccessible as the route is blocked by up to 15 feet of snow. As the jeep made its way to the first lake on our way, I tried to picture the lakes I had seen in photographs before. But nothing prepared me for my first sight of Satrangi Lake. I was left awestruck. After all, it was hard to believe that a lake could reflect as many colours as this one from having seen just a couple of pictures. True to its name which means seven coloured, the most prominent colours were blue, green and surprisingly, yellow, a colour I had never seen before in a lake. The calm, peaceful water lay still as the underwater plants particularly algae provided more colour from under the pristine water surface. After spending a good 20 minutes just relaxing and admiring this marvel of nature, we moved on to the second lake, a 10-minute drive away. The Pari Lake was completely different, however. 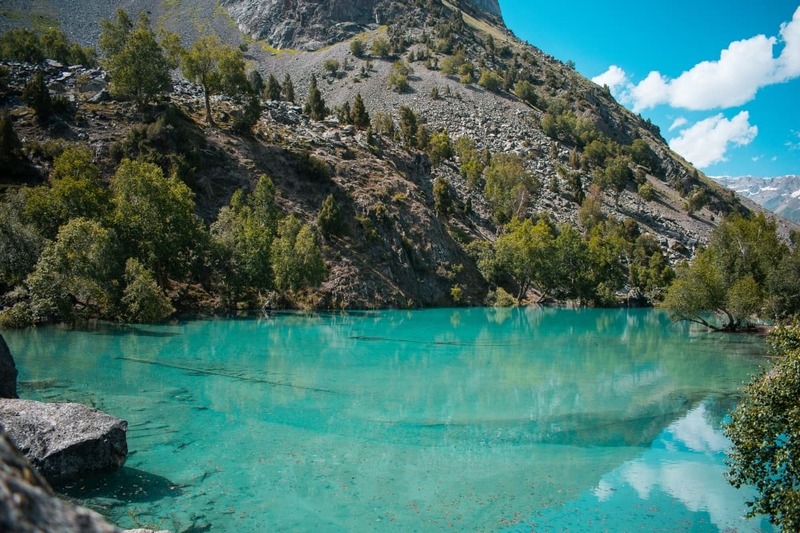 Significantly larger than the Satrangi lake, this gorgeous alpine lake contained deep blue water sourced from natural springs and glacial melts. Boating on a locally-engineered float, I was informed by the navigator that the water enters the lake from underground and as such there is no stream or river above the lake which feeds water into it. It was interesting to see that a camp site was established with numerous colourful tents lined up along the shores of the lake. While the two of these lakes were accessible via a jeep, the third one was not. We were told that we would need to trek for about 45 minutes to reach the third one. Determined to reach it, having heard the locals recommend it over the other two lakes, we soldiered on. Beyond the Pari Lake, we started our trek along the mountain, walking over massive rocks. After 10 minutes of negotiating these rocks, we reached what appeared to be a massive maidan (plain area). Suddenly our surroundings were completely different. The lush green carpet of summer grass could be seen stretching far and wide with a river flowing in between and streams coming down from the mountain slopes on either side. Here, the snow-capped peaks were far more evident. 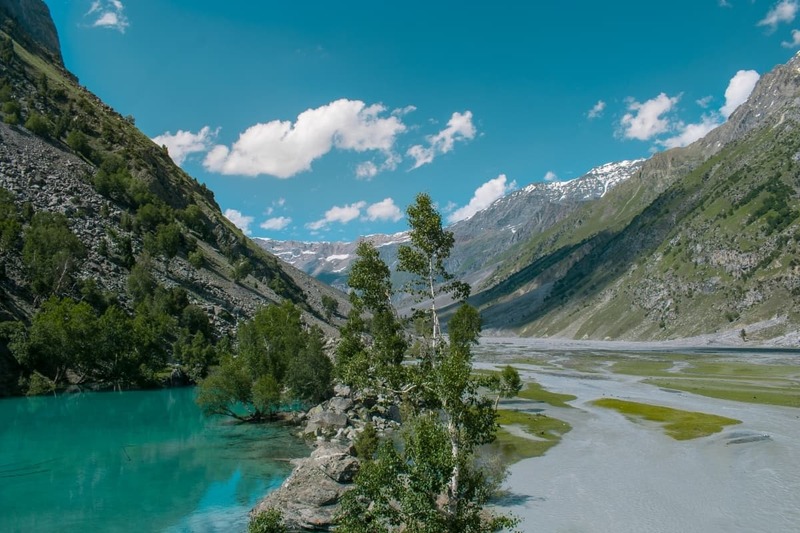 As we passed by a nomad family residing in tents along the river, the guide told us that if we keep on going in the direction we were, we would head towards Chitral. But of course that was not our intention, some other time perhaps. Climbing gradually again, higher up from the maidan down to our right, we arrived at the most beautiful lake I had ever seen! Spending another 15 minutes, we sat at a point above the Firoza Lake, obtaining a magnificent panoramic view consisting of the lake, maidan, the river and the cerulean sky with giant, fluffy clouds. 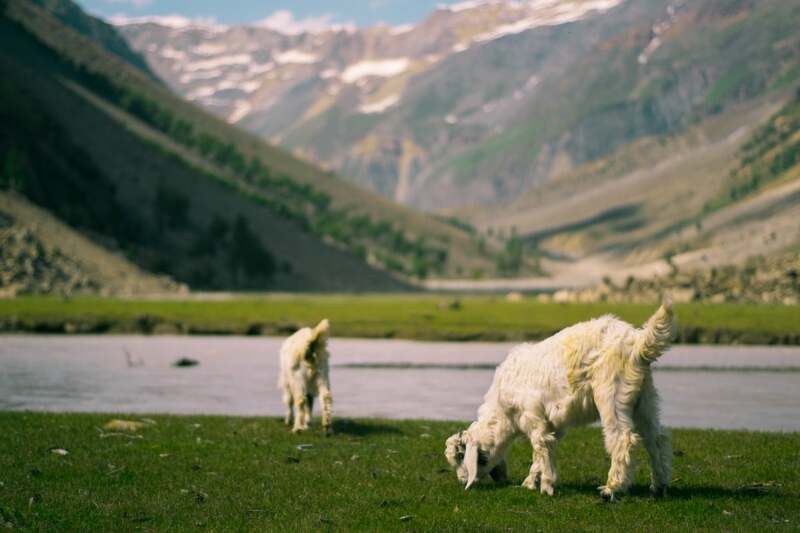 Trekking back down the same route, I managed to spot multiple goats grazing near the river. These were owned by the nomads who were living here. On the decline back to the second lake, I managed to capture another wonderful view of its blue waters. Tired from our adventure, we stopped along the Pari Lake for a break where we had lunch and tea and the mesmerising sight of the lake. 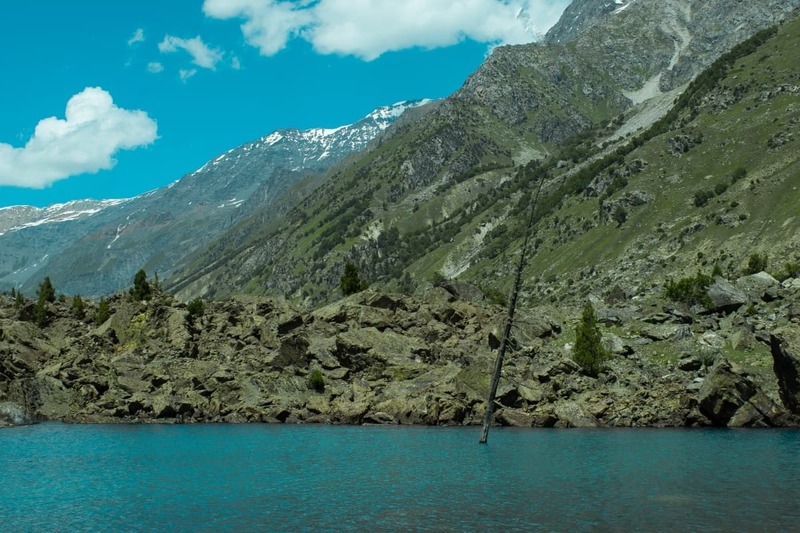 Soon enough, it was time to say goodbye to these wonderful lakes as we proceeded back towards Naltar Bala. 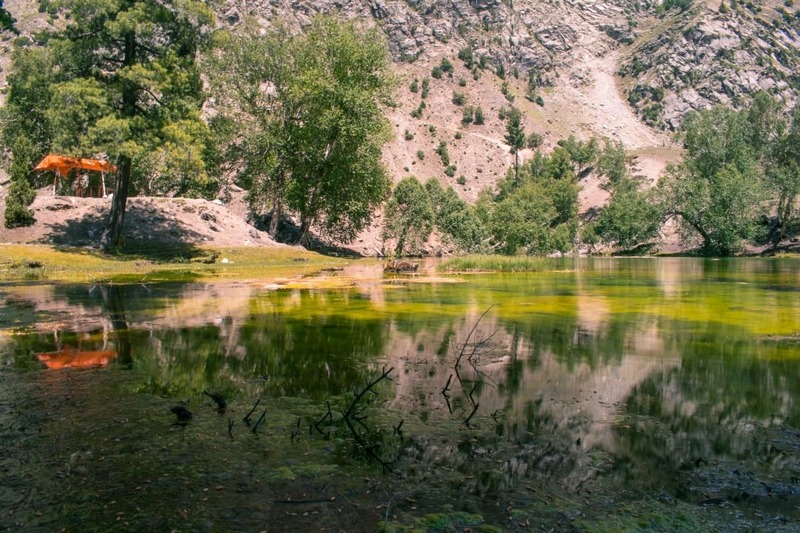 Visiting Naltar was an exquisite experience to say the least. The beauty of the region must be experienced in person to fully appreciate it. The only obstacle remains the tough road but that’s tolerable considering the invaluable experience that awaits. Over the years, the place has developed to a certain extent, having a couple of hotels to accommodate tourists as compared to none in the recent past, providing an ideal opportunity to visit this region. Pakistan Zindabad! 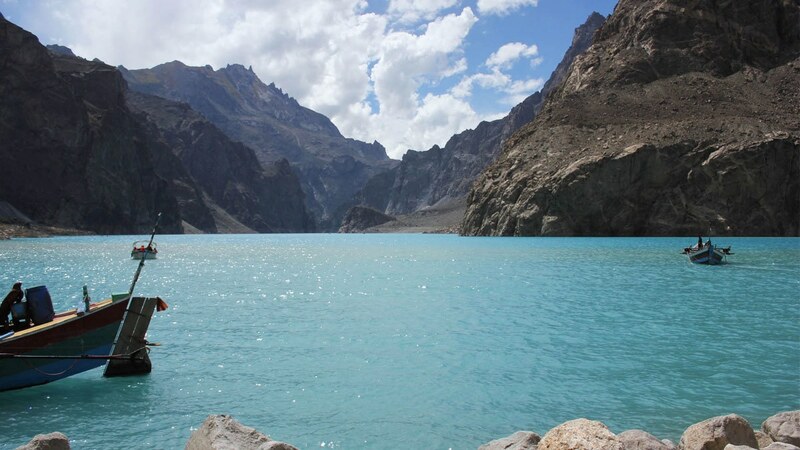 My beautiful Pakistan! In the urban life having very little time and resources to visit these beautiful areas of the north. Thanks for sharing the beautiful pictures. Heaven on Earth. Simply Amazing. The people around the globe, who can afford traveling, are hungry for visiting such spots. Open up your visa and travelling pacgaes for them with a cage security. I can bet Pakistan deficit will be financed easily through tourism. Pakistan a country blessed with so much natural beauty. Beautiful:) Thanks for sharing. Only if we could provide a safe environment for the world to see our beautiful country. I skiied there in 2013 and I loved it. 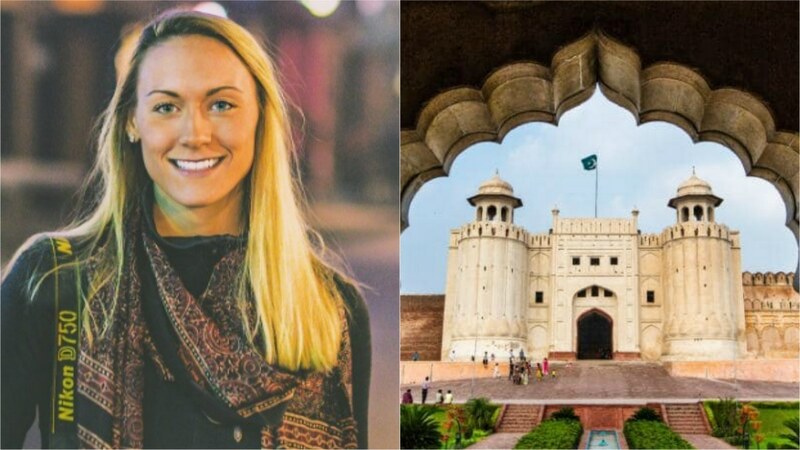 This the the best place of Pakistan and it turns its scenes into a Hollywood movie in winters with skiing as well as the scenic pine forests ladden with snow. Simply amazing. I still recall eating biryani under open snow fall. Beautiful and gorgeous. I would keep the roads rough and unmetalled, first for the adventure, and secondly, to keep out the non-serious amateur crowd, who will trash the place in no time. Dude you missed the fourth lake. from pari lake it takes 70-80 minutes hike through the jungle to get to the fourth lake which is largest and is truly mesmerizing. It is more like a bowl with lake surrounded by tall mountains from all sides and no water spill ways. 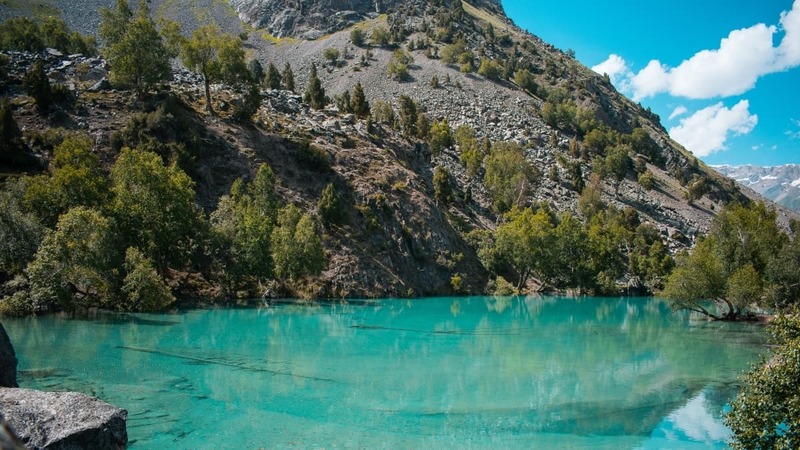 Locals told that water from this lake seeps to the pari lake. Can I visit d beautiful lakes on a tourist visa from India? Lakes mentioned are wonders of nature. As an Indian, I would love to visit these places. thanks. please share details how you planned your trip there. Please refer the tour agency that plans such kind of trips. I want to visit as well. Thanks for the article. I agree, it is a fab place. I know, first hand, I(along with the family) just went to Naltar valley less 3 weeks back. Excellent place, very generous people. I was there in 1982. At that time there is nothing there. we spend night in Tents. never forget that night. it was full moon on that day. and reflection from the snow covered peaks make the whole valley shinning. after so many year i still have that night memories in my mind. also never forget the dinners which was provided by the locals Normand boiled potatoes with local Lasi . which was left after taking butter from it. one day i am going to visit again with my family. this place is heaven on earth. 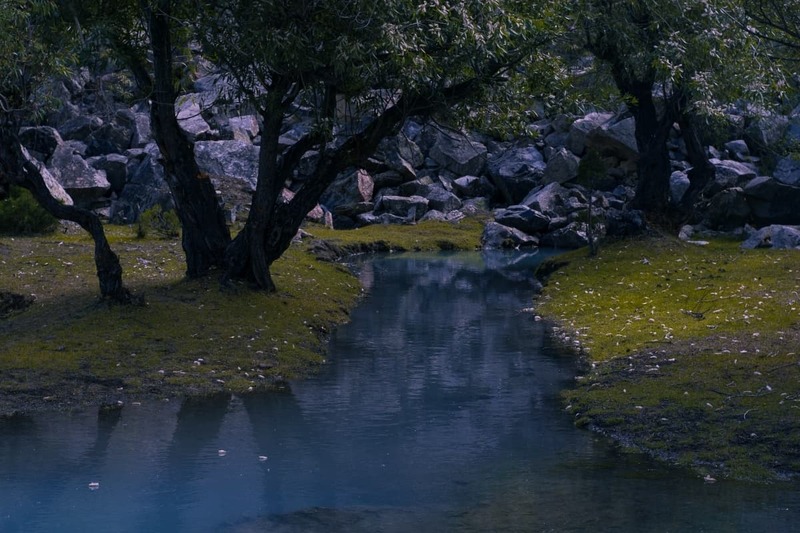 You have to go to Naltar to believe that such heavenly places do exist. I should know because I had the good fortune of having been there! Agar Firdaus bar rooyay. 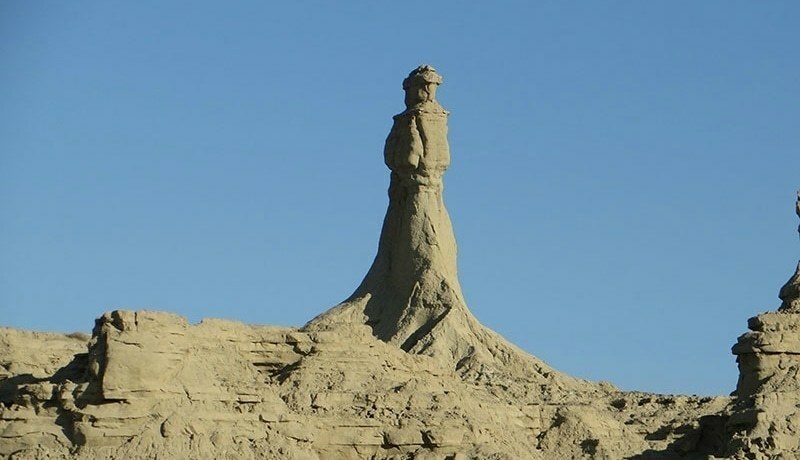 Zameen hast. 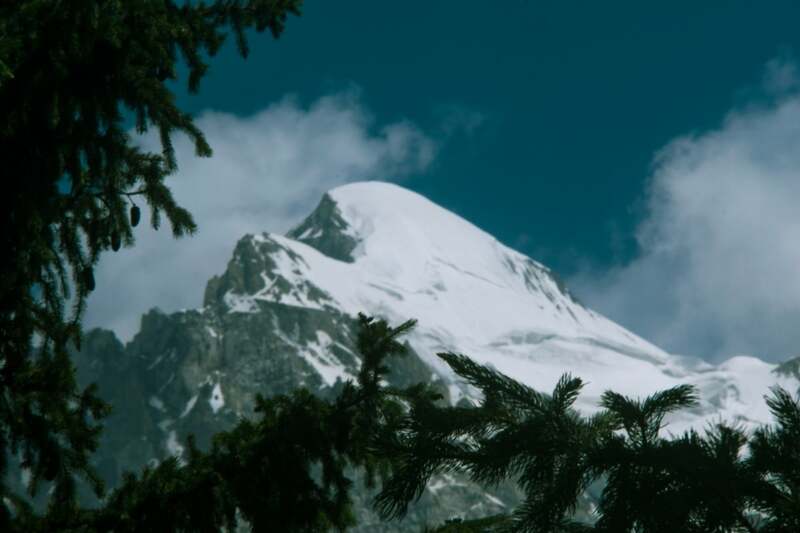 @Vijay B. Alpine has nothing to do with the alps. It's a geographical term associated with high mountainous areas, particularly above 5000ft - thus, an alpine lake.